Everybody loves the underdog! Rudy, Rocky, The Little Engine that Could, and a host of other underdogs all capture our attention and rally our emotions to fevered pitch. Mixed Martial Arts may be more prone to upsets than any other sport on the planet; a sport where one perfect punch or lighting fast submission can turn the hand of fate to favor the longshot. 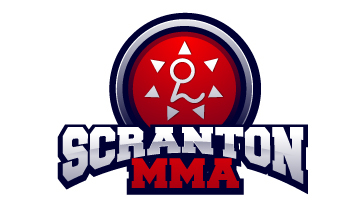 Here is Scranton MMA’s top five most memorable underdog victories! #5 Forest Griffin vs. Mauricio Rua: UFC 76 saw the UFC debut of “Shogun” Rua who at the time was considered the world’s best 205 lb fighter. Unfortunately for Mauricio, Forrest Griffin was game to prove everyone wrong by out scoring Mauricio in every round and ultiately finishing the outmatched Rua with a rear naked choke in the third round! #4 BJ Penn vs. Matt Hughes I: At UFC 46 BJ Penn moved up a weight class to fight the number one welterweight in the world, Matt Hughes, for the welterweight championship of the world. Baby J roared out in round one to swarm all over Matt Hughes take him to the ground, scramble to Hughes’ back, and secure a rear naked choke victory in round one! #3 Keith Hackney vs. Emmanuel Yarborough: Although by UFC 3 when these two faced off everyone knew that size doesn’t matter you would think that maybe it did just a little! Yarborough weighed in at an astounding 600 plus pounds and Hackney at a mere 200 pounds. Early in the fight Hackney landed a right uppercut that dropped Yarborough to the canvas. Hackney quickly jumped on the fallen giant and landed a rapid succession of 41 unanswered punches to force Yarborough to tap out! #2 Matt Serra vs George St-Pierre I: At UFC 69, the winner of the TUF Ultimate Comeback reality show, Matt “The Terra” Serra, faced off against the welterweight champion of the world George St-Pierre. Everyone had Serra written off before the opening bell but with just 2 minutes left in the opening round Serra landed an looping over hand right that staggered St-Pierre. The Terra jumped all over the fallen champion and finished the fight seconds later to become the welter weight champion of the world! #1 Royce Gracie vs. The World: At UFC I the world was treated to a fight spectacle where “there are no rules” and the course of martial arts history was forever changed! The original concept of the UFC, as true fans know, was far different from today’s sport of mma. At the start it was style vs style; karate v. boxing, judo v. tae kwon do, wrestling v. joe san do! The highlight of the evening however was a martial style no one had ever heard of; Gracie Jiu Jitsu and its representative a skinny brazilian kid named Royce Gracie. As this slight competitor entered the cage most everyone snickered and fully expected to the first televised death. That was until Royce Gracie submitted every opponent that stepped into the cage to face him without taking so much as a single punch! The first ever UFC champion was crowned and the world as we know it was forever changed! There you have Scranton MMA’s most memorable underdogs. Perhaps your favorites are different but we can all agree to continue to root on the longshot!